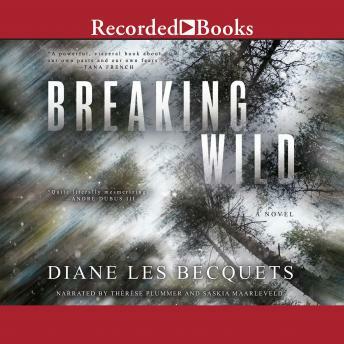 In captivating prose, Diane Les Becquets tells the story of one woman missing in the Colorado wilderness and another bent on discovering the missing woman's whereabouts, in an unforgettably moving and thrilling literary debut. It is the last weekend of the season for Amy Raye Latour to get away. Driven to spend days alone in the wilderness, Amy Raye, mother of two, is compelled by the quiet and the rush of nature. But this time, her venture into a remote area presents a different set of dangers than Amy Raye has planned for and she finds herself on the verge of the precarious edge that she's flirted with her entire life. When Amy Raye doesn't return to camp, ranger Pru Hathaway and her dog respond to the missing person's call. After an unexpected snowfall and few leads, the operation turns into a search and recovery. Pru, though, is not resigned to that. The more she learns about the woman for whom she is searching, and about Amy Raye's past, the more she suspects that Amy Raye might yet be alive. Pru's own search becomes an obsession for a woman whose life is just as mysterious as the clues she has left behind. As the novel follows Amy Raye and Pru in alternating threads, Breaking Wild assumes the white-knuckled pace of a thriller laying bare Amy Raye's ultimate reckoning with the secrets of her life, and Pru's dogged pursuit of the woman who, against all odds, she believes she can find.